Building strong partnerships and capabilities means that getting out of the marketing swamp, through the winds of cost and risk, across the enterprise feasibility gap, through the desert of procurement and over the ocean of early execution — will all be more tenable the second time around, and the rewards even richer on both sides. Why are large enterprises so interested in startup tech? It’s a matter of survival. Every company is undergoing a digital transformation. Farsighted executives see the pace of change in business accelerating. These executives know that the companies who more rapidly adopt advancing technology will run their companies better, faster, cheaper, smarter. Technology is a weapon used to defend against competitive threats, and achieve and preserve market dominance. Similarly, for an enterprise technology startup to survive and thrive, they must understand how to effectively work with large companies. Within large enterprises are most of the employees, data, workflows, industry and institutional knowledge, assets, customer relationships, intellectual property, and budgets in the world. Before enterprise executives and startup founders are ready to set sail together, they need to identify the right partners. Shine a Bright Light: A warm introduction can be vital. Paint a Clear (and Easy) Path Out: Startups need to clearly explain the problem they are solving, their value proposition, and their differentiation. Seek the Right Stakeholders, at the Right Time: And those other technologists and leaders are structurally more aggressive in technology adoption than the CIO. One enterprise tech leader said that talking to his team about bringing in a new technology inevitably triggers an immune defense reaction: New vendors need to understand how customers are measuring return and cost. Even once your team has cleared a path out of the swamp, it can feel like you’re fighting against a galewind. There’s a lot of natural resistance to bringing in new vendors, because a new offering needs to be valuable enough to overcome inherent cost and risks of working with a startup. Startups should be empathetic to this risk aversion and understand that, on the customer side, someone’s career is often on the line. Enterprise customers told us they think also about the “hidden costs” of vendor management, user training and adoption, integration, implementation and administration, and the risk of the startup dying or getting acquired. Because of these many “hidden” costs, smart technology buyers are projecting out the landscape of vendors, and looking for startups that not only offer tactical benefits but have a chance to endure as longer-term partners — disrupting an existing category or creating an important new one. Advantages for disruptor companies include innovating on the experience of purchasing and using the technology, and the total cost of ownership. To de-risk their decisions, enterprise tech leaders want to work with startups that have raised capital from top-tier investors, because it’s one sign they’ll go the distance. Value may outweigh the costs and risk, but will the product work in their environment? Scale: Can the startup support the scale of the customer’s user base or infrastructure? Increasingly, we see customers want to validate that scale rather than taking it on faith. … This includes ease of use, rollout plan, reporting, integrations into existing technology, administration workflows, SLA’s. Customers are also evaluating who is going to help them deploy — for example, the existence and quality of the startup’s sales engineering or implementation team, if needed. Security: Startups told us this is #1 on everyone’s list. The need is often driven by regulation such as GDPR, or internal requirements for sophisticated access control, and the key thing here is to have a clear approach to customer data. Spend: Pricing models that are appropriate for the first thirty developers or first hundred users might not work for broad deployment. Startups must offer pricing models that are feasible at scale, aligning with the value they create for their customers. Supportability: Is the startup prepared to offer the kind of support (often 24/7) that enterprise customers need, at scale? Can they handle the reality of legacy technology that large companies are often saddled with, and make their customer successful? The quicksands of customization are an especially tricky neighborhood. …getting sucked into customization can mean company death, or at least, derailment. Just as customers will choose to work with a particular startup based on ability to scale, durability, and other factors, startups should also choose their early customers carefully, balancing customer requirements against strategic priorities and limited company resources. Being too accommodating or diffuse in strategy can be a recipe for mediocrity in multiple categories. Giving potential customers realistic visibility into your short and medium term roadmap is also a pattern for success. Beyond choosing early customers carefully, startups should also take a pragmatic view of what feature requests to field, and when. The procurement process can be a bear — you feel like you’re so close to the finish line, but it’s a mirage. You can get stuck in limbo. Startups need to have realistic expectations about speed, and plan ahead for sales cycles so they don’t run out of resources before they show progress. Enterprises, on the other hand, need to create pathways for the business to push through important innovations fast. To accelerate their sprint through the procurement and legal desert, startups should find internal champions, arm those buyers with the right business case and other support, and arrive prepared with mature contracts. There are also different purchasing processes for different scales of spend. Building up engagement with a large enterprise partner through a land-and-expand model also changes a startup’s initial experience in procurement. Finally, quest-goers need to build a strong ship and chart a clear course to cross the ocean of early execution. First, this means structuring PoCs and initial engagements to be short, with repeatable onboarding flow, clear success criteria and commitment from partners to that timeline. Second, technology leaders also cautioned against “poisoning the well” — damaging relationships and reputation by not delivering on promises. Third, enterprises need startups to consciously involve the necessary stakeholders to operationalize technology, even in planning and deployment, support their change management, and follow up with discipline. 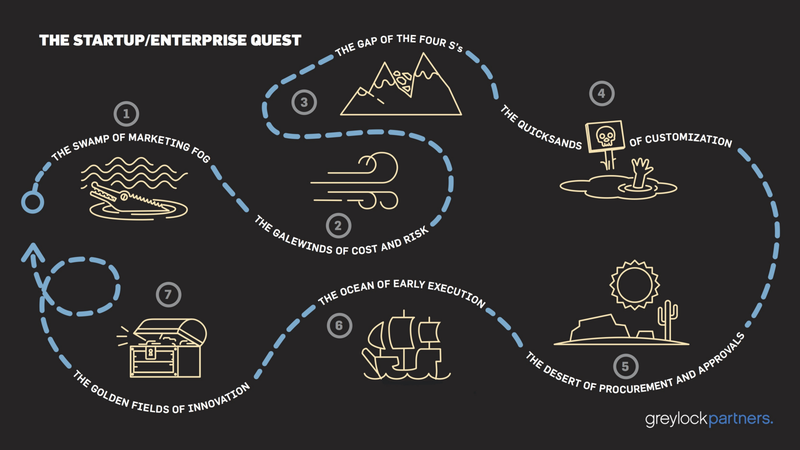 In summary, the quest to reach the golden fields of innovation — that is, to successfully deploy new capabilities and technologies into the enterprise — is a journey that requires strategy, careful planning and consistent execution. Once that early execution is successful, this is not a one-time quest. It’s an ongoing journey with each new partner, and each new use case and product line. An early success lays the groundwork for a strong customer reference that will help generate new business — in today’s age of connectedness and transparency, a startup’s best salespeople are its happy customers. 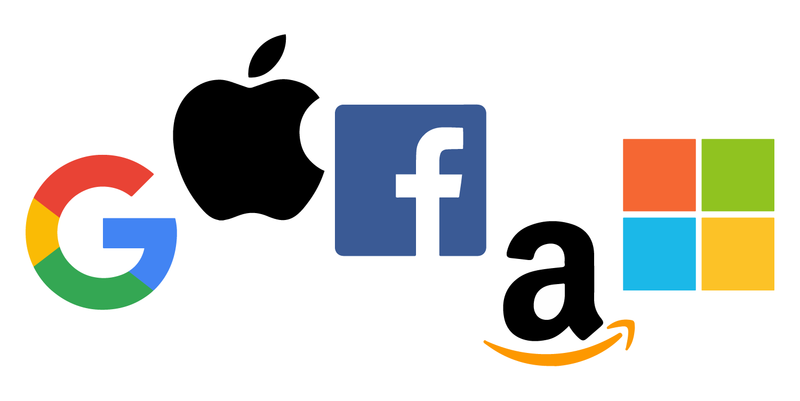 Hi-tech firms are prominent among recent tax-break “megadeals” awarded by cities and states. Tesla’s battery factory ($1.3bn from Nevada), Foxconn’s display-screen plant in Wisconsin ($4.8bn) and Apple’s data centre in Iowa ($214m) are typical. The Apple centre, a cloud computing facility, will have only 50 permanent jobs, so the cost per job exceeds $4.2m. The Foxconn deal, even by the state’s own official estimate, won’t break even for taxpayers for 25 years — an extremely risky time horizon given the likelihood of new technologies leapfrogging the company’s product much sooner. The Tesla deal was 14 times costlier than anything Nevada had done before. 1. 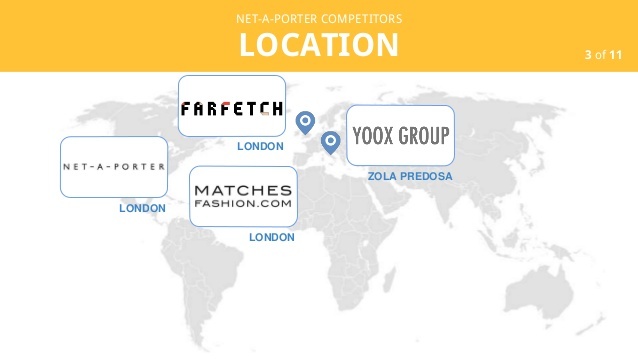 By 2025, luxury fashion e-commerce will have a quarter of the industry's market share. 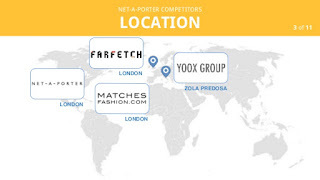 Industrywide, online’s share of the personal luxury goods market is expected to rise to 25% by 2025 from about 9% last year as the entire market pie will see 45% growth to $446 billion over the same period, from $307 billion last year, Farfetch said in the filing, citing a Bain & Co. study. 2. Yes, credit or (blame) Millennials, and soon Gen Z. 3. Democratization of luxury fashion? 4. Data science is hot. 5. Growth at the cost of profit may be the new norm. Amazon’s years-long model of investing behind growth before it finally turned a profit looks to be increasingly popular among companies eyeing online growth and seems to be accepted by investors. La tecnología tiene sus raíces en el pasado. Domina el presente y tiende al futuro. y con el movimiento religioso de la edad media. es un mundo en sí misma. Como método, es superior en casi todos los aspectos. la tecnología revela su verdadera naturaleza. tan poderosa, de hecho, que no es fácil ponerle nombre. 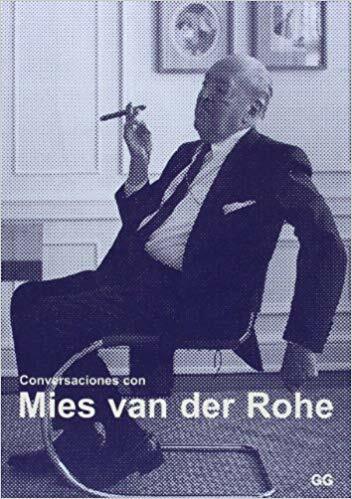 ¿Es eso aún tecnología, o es arquitectura? y será reemplazada por la tecnología. va más allá de la arquitectura. en el terreno de la trascendencia. no tiene nada que ver con la invención de formas. No es un campo de juegos para niños, jóvenes o mayores. La arquitectura es el verdadero campo de batalla del espíritu. y dio a éstas sus nombres. La arquitectura depende de su tiempo. el lento despliegue de su forma. que algún día una sea la expresión de la otra. una arquitectura como un símbolo verdadero de nuestro tiempo. Interesting report on the "new economy" by BRIE, Berkeley Roundtable on the International Economy. It is difficult to be certain which of the changes we describe are permanent and which are transient. The technical changes that are easing entry seem to be part of a permanent environmental change. The technical diminution of entry barriers, however, may be balanced by the remarkable power of the incumbent platform giants. Effectively, the preponderance of these new entrants may be subsumed into the platform giant’s ecosystem and thus face constrained growth opportunities. Exactly what the ultimate balance will be is difficult to predict. While, the technological changes and the tensions between eased entry and platform power to control ecosystem complementors can be expected, the changes in the financial sector are far more opaque. For example, if there is a financial crisis, such as those in either 2000 or 2008, which types of financial intermediaries will continue to be active in funding startups? Will angels and accelerators still have sufficient capital, and, if as is likely, only the best ones survive, what will be the implications for the enormous number of startups currently operating? Even more uncertain is whether the organizations that have been providing funding for the later growth phases, where large sums of capital are required, will continue their support. The situation would become particularly precarious if the IPO and acquisition markets were to freeze up simultaneously, as these private investors would be called upon to commit capital at the very time when they were experiencing a capital squeeze. From a political economic perspective, because in most of these firms the assets are largely software and data, liquidations are likely to be nearly total with little residual value remaining.Oddly, our conclusion is contradictory. The powerful transformative forces currently at work driven by the move to a platform-centric economy appear to be inexorable. 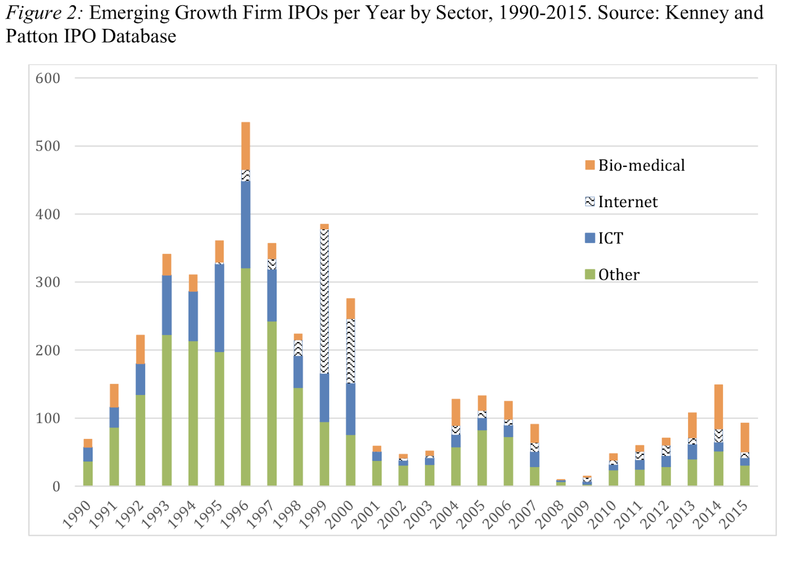 And yet, the capital necessary to nurture many of these transformative firms is dependent upon a robust flow of capital, particularly since as we demonstrated, IPOs as exits have declined markedly and did not recover significantly despite the passage of the JOBS Act. If these alternative sources of capital are no longer available and the capital markets are closed, then the startups that do have significant potential will be forced to either sell themselves to the platform giants or fail outright. The implications are that the incumbents will be able to purchase the firms that Schumpeter suggested would replace the existing firms. It is symbolic of global acceptance that the Silicon Valley model for innovation and entrepreneurship exemplified by its capture by one dominant form of entrepreneurship, the venture- backed Unicorn, is the best type of firm to be supported and such entrepreneurship is a path equally available to all. This model is embraced by both local governments and educational institutions as an optimal economic development goal. The result has been a proliferation of accelerators, incubators, entrepreneurship courses and programs, etc., that themselves lower start-up entry barriers, thus reinforcing the phenomenon of competitive commoditization. This narrative advances the view that the venture-backed startup – in reality, a narrow class of startups that can quickly grow to a large scale over a decade or less is the most desirable model. This essay calls those conclusions into question. ¿Cómo hacer una empresa atractiva para el talento? - KPMG Tendencias? Los datos son impresionantes: las compañías con mayor engagement consiguieron un aumento del 65% de su valor en bolsa; 20% menos de absentismo; 15% más de productividad; 30% más de satisfacción de clientes y un 100% más de recepción de currículos. Diversos estudios confirman el impacto positivo de un mayor compromiso laboralen los ingresos y resultados de la compañía. La alineación de los valores de la organización con los del empleado. El liderazgo de la primera línea y las personas con las que trabajo. La remuneración y el reconocimiento en sentido amplio. La Propuesta de Valor para el Empleado (PVE) abarca toda la experiencia del empleado, antes de su incorporación a la compañía, durante su permanencia en la misma y tras su salida de la organización. 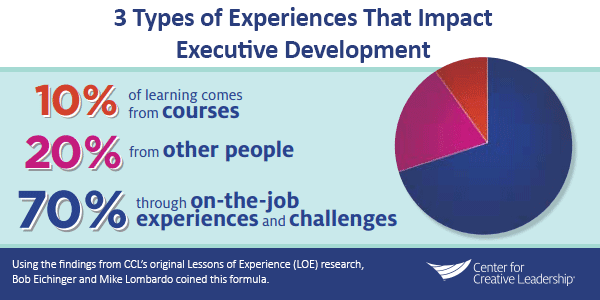 A research-based, time-tested guideline for developing managers says that you need to have 3 types of experience, using a 70-20-10 ratio: challenging assignments (70%), developmental relationships (20%), and coursework and training (10%). The 70-20-10 rule emerged from 30 years of our research, which explores how executives learn, grow, and change over the course of their careers. The underlying assumption is that leadership is learned. We believe that today, even more than before, a manager’s ability and willingness to learn from experience is the foundation for leading with impact. The 70-20-10 rule seems simple, but you need to take it a step further.